Those of you who don’t follow me on social media, will be unaware that on Friday last week I was struck down by a horrible head cold / virus. My throat felt like I had swallowed a packet of razor blades, I was aching all over, full of snot and at times hallucinating due to my high temperature. It completely floored me and has left me with vertigo as my eustachian tubes ( in my ears) have swollen shut. So all in all it was a fun time. 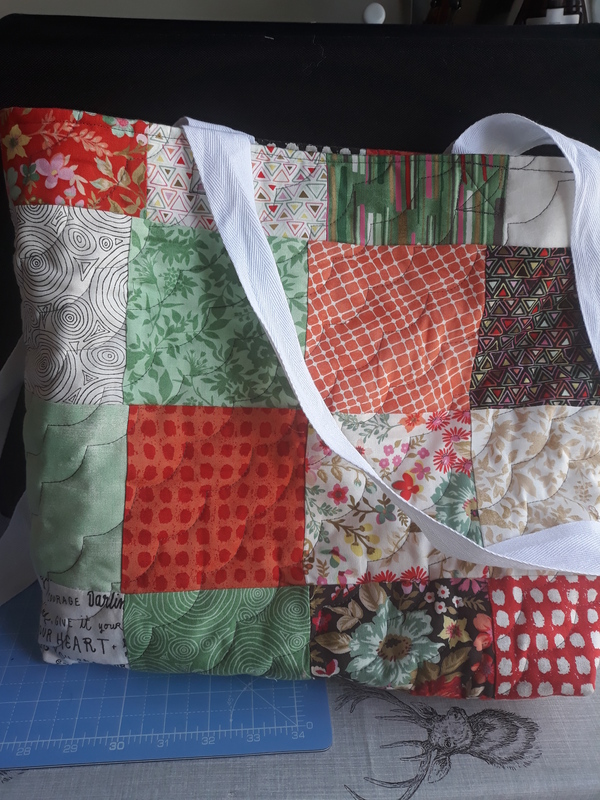 As I am still pretty shattered and getting over this, I thought I would just give you a quick round-up of my sewing projects that I have completed over the last few weeks. 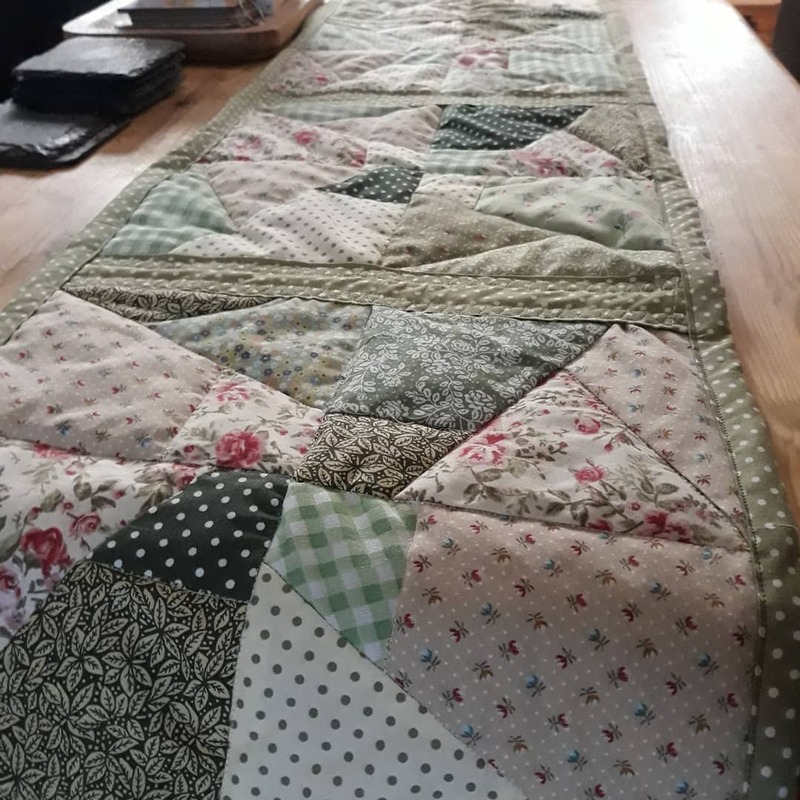 I made a table runner for our coffee table using scraps from the two quilts (quilt as you go) I made for the lounge. The patchwork pieces had been hanging around for weeks. 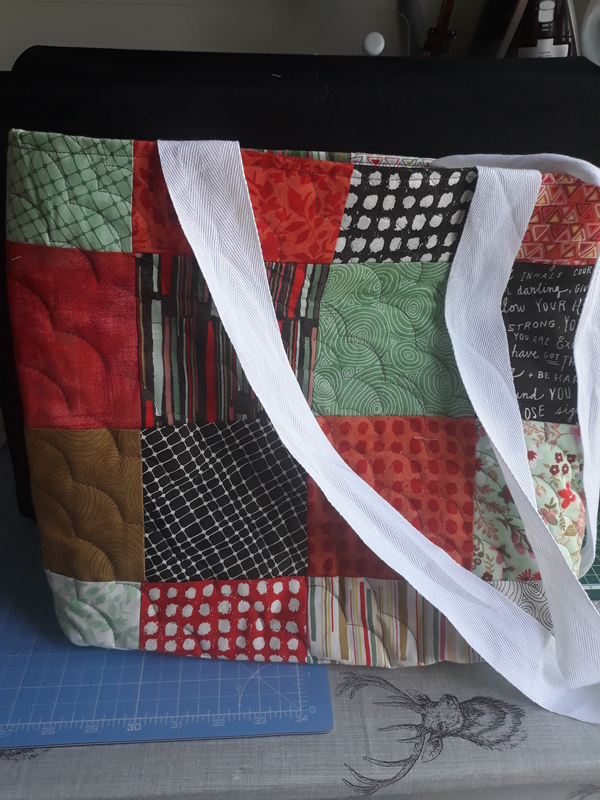 This was the first piece of quilting I had done without a kit. I also got to use my new stitch in the ditch foot, which was harder than I had imagined it would be. It takes a lot of concentration to keep the foot in the ditch ! On the sashing on the table runner I used this heritage stitch. I love it as it adds another piece of interest to the runner. I also made myself a smaller and wearable Julia top. I dropped the size down by two and lengthened the pattern by 10cm. This is a much more wearable top now. 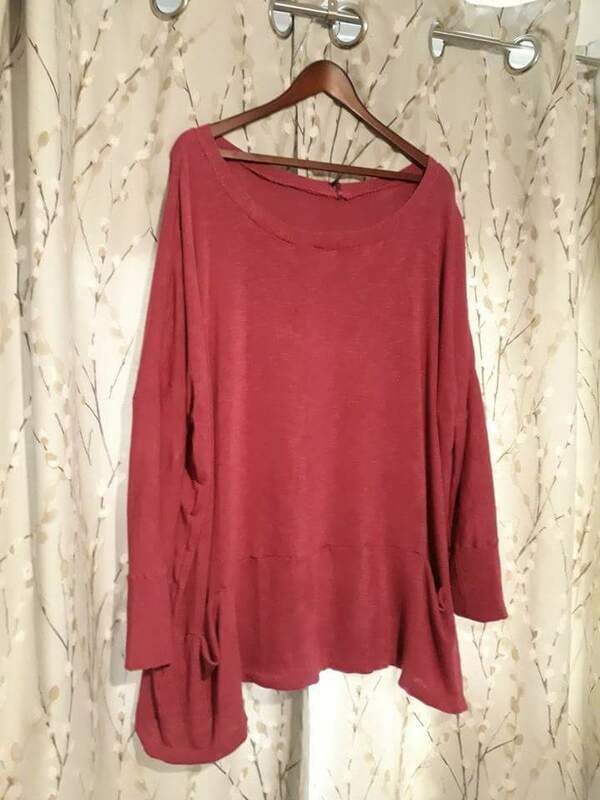 I will hack the pattern again and make the neckline narrower and higher as I will always need to wear something under the top or everything will be on show when I bend forward. It is super comfortable though and I am thrilled with it. 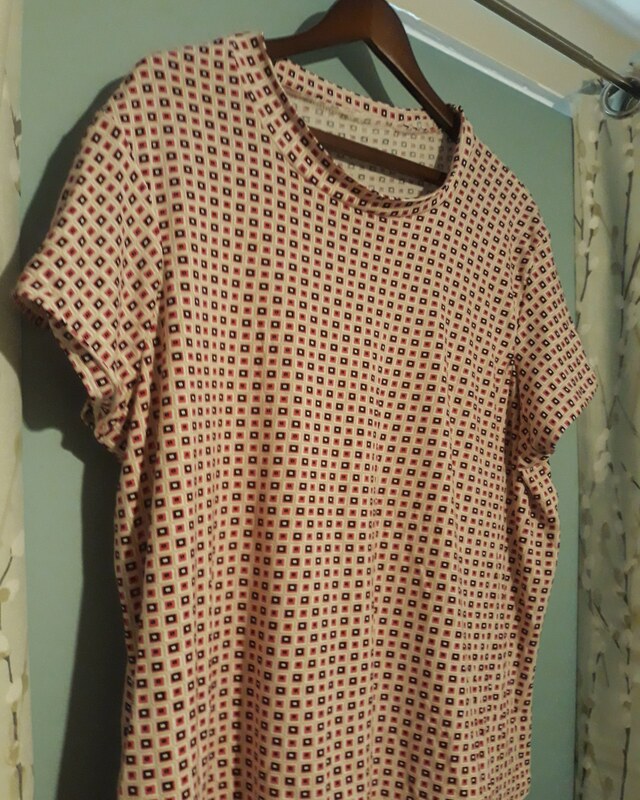 Buoyed by my success, I took apart a much loved but on its last legs t-shirt and made a pattern from it. The sleeves need to be looked at, I had to bodge these a bit. 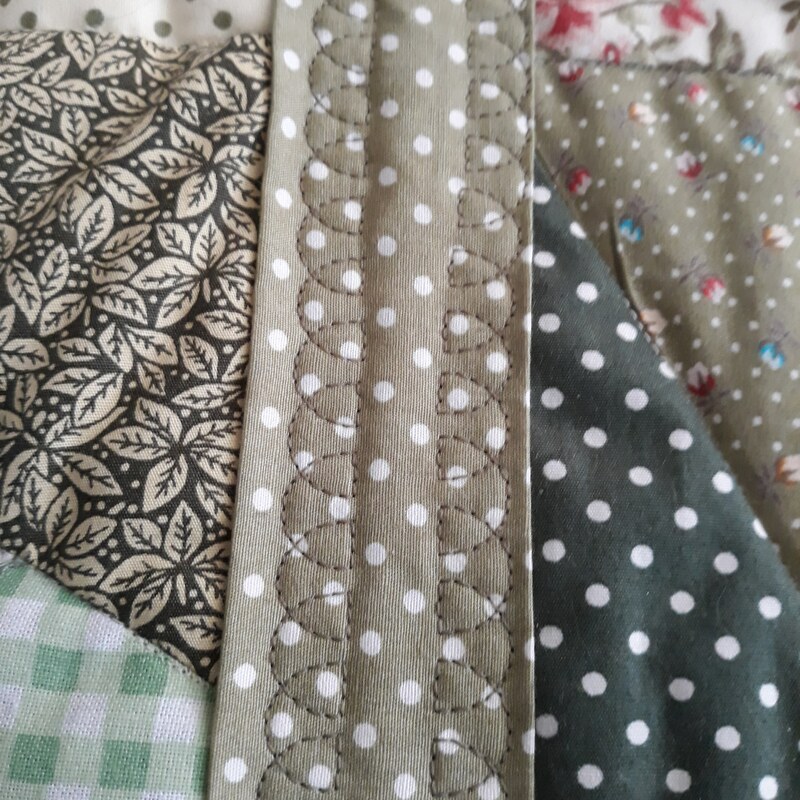 However its very wearable and I used the overlocker for the majority of the construction. I have lots of material coming for me to make some more Julia Tops and some t-shirts. In the meantime though Mr Myasthenia Kid has requested a soft toy pig be made. Don’t ask me why LOL!